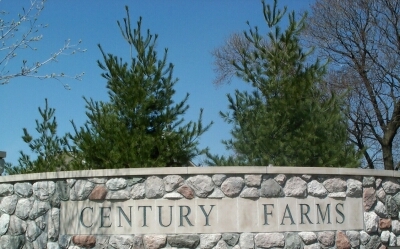 Century Farms gets its name from the Erb Farm, which was located on the property for, presumably, a century. You can see the names "Joshua Erb" and "John Erb" just northwest of Naperville city on a land ownership map from 1874, indicating that the Erb Farm was here for at least 1 1/4 century. The Erb family cemetery is just north of Commons Blvd. at West Street. If you have any information to contribute regarding the history of Century Farms, please send an email to [email protected].